D – developing a range of coping strategies and remembering to practise them! 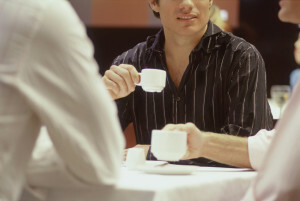 Maintain or establish a strong support network. Come to terms with your feelings and share them with others. Ask for help when you need it and be gracious enough to accept it when it is offered. There is an old saying “what goes round comes round”. You can always offer help to other people when you are stronger and they need it. For now it’s your turn to accept help. Undertake a Life Audit. If you work in a shop or an office you will be used to the idea of stock taking and auditing the books so that you know how much stock you have, how much money you have made or spent, where you need to make savings or new investments and where items are now obsolete and need to be deleted. A life audit works on the same principle. Think about your life as comprising four main areas: those of WORK, HOME, FRIENDS and PERSONAL DEVELOPMENT. Under each of these headings write down all the things you like and all the things you don’t like. Perhaps it is time for a change of job. Perhaps you have been too busy working hard and doing a good job to realise that it is time for a move. Equally, perhaps it is time to talk to the boss about an increase in responsibility and maybe even salary too. With Home/Family you might want to think about the people you feel are supportive and loving. You cannot choose your family but you can choose how you are going to respond to them. Home also takes into account the environment you live in. Many people have found the act of ‘de-cluttering’ their homes quite therapeutic. Environmental change does not always mean spending vast amounts of money. We do choose our friends so when you are writing down your likes and dislikes remember that we sometimes outgrow friendships and if you are getting nothing back from the relationship it may be time to acknowledge that the relationship no longer works. When it comes to our Personal Development this covers aspects of who we are: education, hobbies, spiritual life, health. Life is not a ‘dress rehearsal’ and many people forget to ask themselves what they want from life and how they can get it. When it comes to health perhaps even small changes could make a significant difference. Education might mean taking that computer course at evening classes you keep putting off and hobbies might include joining the local choir or drama group for fun. Our spiritual life may include our religious beliefs or, alternatively, simply our idea of purpose. Human beings need a sense of purpose. For some it comes through helping, for others it comes through the sense of wonder at the forces of nature, for others it comes through belief in their personal values. 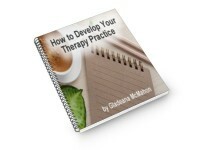 Fill in your details on the form below to get the free E-Course "How to Develop Your Therapy Practice"